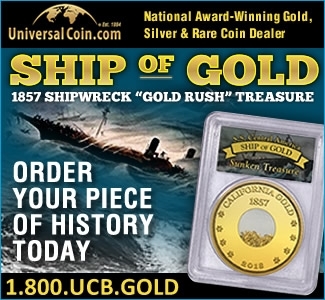 By CoinWeek Staff Reports …. 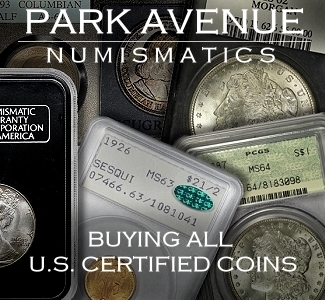 On Monday, April 1, internet auction site Sixbid.com sent out a notice that several auction houses who sell coins and other numismatic items through the site were reporting that bidders were receiving fake invoices and “second chance offers” via email that falsely claim to be from the aforementioned auctioneers and are designed to fool customers into believing the emails are legitimate. 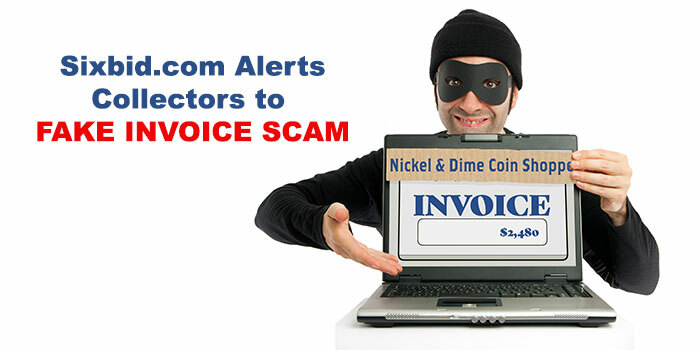 Besides reiterating that the invoices and offers are not real, the notice from Sixbid.com provided some preliminary information about the emails themselves, in the hopes of helping users of the site avoid potential scams. 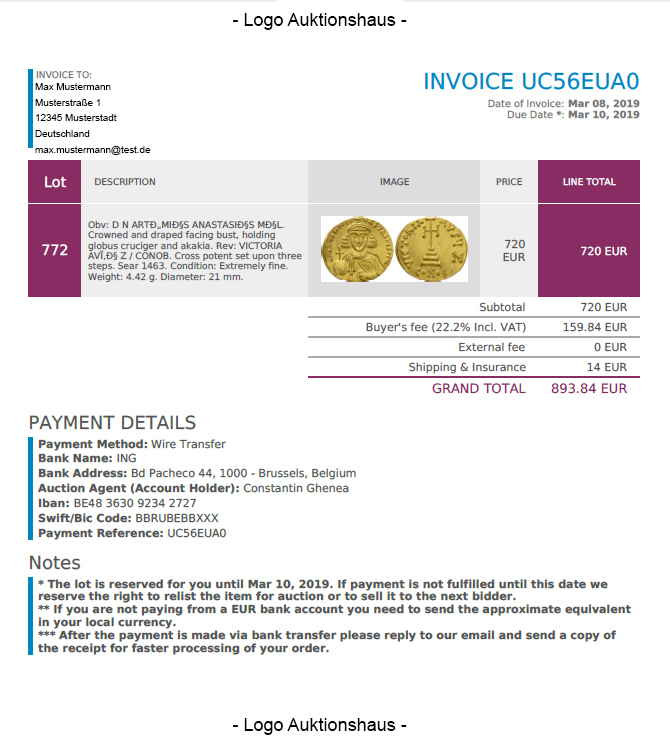 The emails that include the fake invoices and offers are coming from accounts ending in the domain name “numismatics.site”. 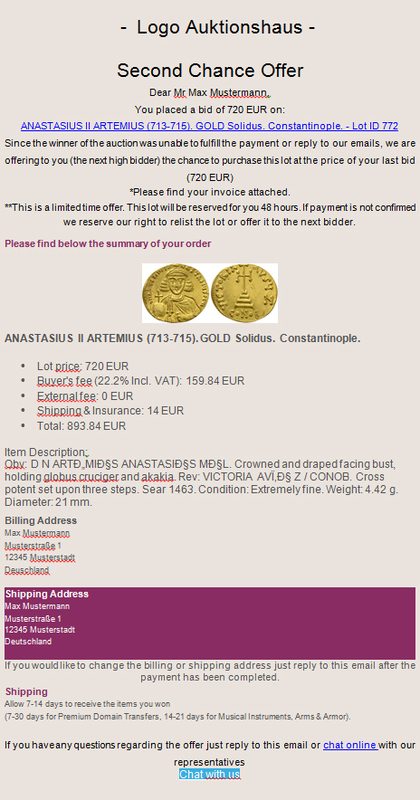 All emails with an address ending in “…@numismatics.site” should be ignored and not opened. If it is then possible, please report the fraudulent email to Sixbid.com. A fake “Second Chance” offer sent to Sixbid bidders. Go to the Sixbid Login.Click on the button “forgot password”. Enter your user name in the following mask and confirm the entry with “Reset password”. Your new password will be sent to the e-mail address you provided. 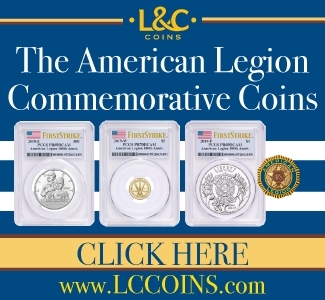 Click on the confirmation link in the email and then enter the new password to log in. Go to the Sixbid Login.Log in with username and password and then click on “Profile” in the navigation bar. On the right you will find under the item “Change Password” the option to easily change your current password.